Spend a day exploring and nurturing your relationship with your mother or daughter. This women's daylong retreat will consist of yoga classes by Jackie Long, a communication seminar by mother - daughter team, Donne Davis and Deborah Davis, and interpersonal exercises to nurture the mother - daughter relationship. There will also be some unstructured time for self-care. Participants will have the opportunity to soak in the hot tub, take a dip in the pool, hike in the gorgeous Redwoods that surround Stillheart Retreat Center, curl up on the couch, and/or read a book in the library. Catered meals for lunch and dinner will be provided. 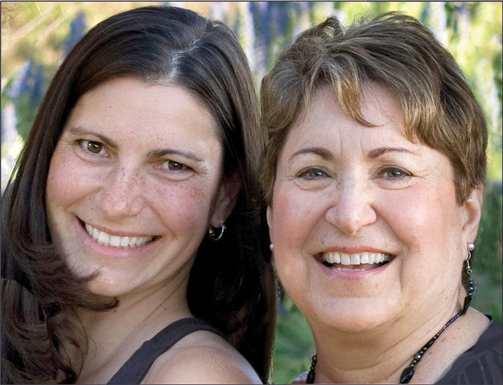 The daylong retreat is for mothers & adult daughters (ages 18 and older). Since all women are daughters, this retreat is open to all women interested in exploring their mother-daughter relationship, whether you come alone, with a friend or with your mother or daughter. Nestled in the hills of Woodside, California, Stillheart offers a place of balance and serenity in harmony with nature. Stillheart provides an ideal learning environment while nourishing the individual and collective soul. The facility includes 26 sleeping rooms, five public meeting rooms (including a great room with a fireplace and outdoor deck, a large studio for yoga and art, and a conference room), a fully equipped kitchen for use by caterers, a large dining room, an indoor heated swimming pool and hot tub, a meditation room, saunas, and 16 forested acres with hiking trails. Jackie Long, E-RYT, MFT is an experienced registered yoga teacher, with over 14 years of experience in the practice and application of yoga and meditation. With a Neuropsychology degree from Princeton University and a Counseling Psychology degree from the Institute of Transpersonal Psychology, Jackie bridges East-West wisdom seamlessly in each of her yoga classes. Jackie is also a Licensed Marriage & Family Therapist and offers counseling psychology in her private practice in Los Altos. She considers it a great honor to support people on their path of relating to themselves and others more authentically. If you would like to stay overnight at Stillheart Retreat Center, please scroll down to the bottom of this page for rates and information. To register, please email Jackie Long at jackie@yogawithlove.com. If you would like to stay overnight on either Friday night, Saturday night, or both, please do so through Stillheart Retreat Center. Reservations may be confirmed up to 24 hours in advance and no longer than 14 days prior. Personal retreats are limited to a minimum of one person and maximum of four people. Individuals are responsible for their own food and meals.